In this report we introduced CLSW, a fast GPU-based Smith-Waterman score-only-alignment calculator. While generally applicable for any protein alignment problem, it was designed specifically as a proof-of-concept application for SIMAP. Even if we had only two weeks to develop a fully functional, validated and optimized implementation and all related concepts, our results show that in some special cases CLSW is significantly faster, generally more portable and overall simpler than competing solutions like SWIPE. 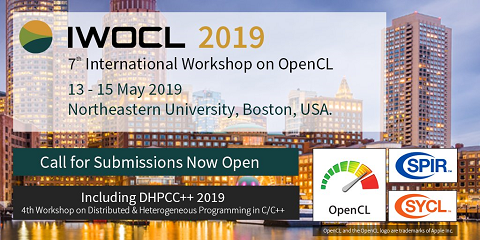 By using OpenCL as a backend computation framework, CLSW is not only GPU-vendor-agnostic, but achieves true platform agnosticism by running on an ever-increasing multitude of computational hardware, without requiring any modification. Three new algorithms were introduced that can be used to optimize CLSW even further, especially in those cases where competing solutions are currently faster: QUANTMASS, an adaptive heuristic metric to efficiently compute kernel- and sizeclass boundaries; GIVE-SWAP, an extension to the score-only Smith-Waterman algorithm that allows imposing arbitrary limits on computation buffer sizes while still only using linear memory; TESSIN, a memory layout scheme for generalized sequence storage that takes advantage of cache-line characteristics to improve cache hit rates for inter-task Smith-Waterman parallelization. By implementing these optimizations, we believe that CLSW could prove advantageous not only to SIMAP, but to many projects that today can only use heuristic approaches to alignment scoring. CLSW could be used to improve the data quality of those databases, using only off-the-shelf hardware instead of requiring expensive and specialized accelerators.